Inspection: Available by appointment only. Please contact us for an appointment. Buyers Premium and Sales Tax: There is a 10% Buyer's Premium in effect for this auction. Location-based sales tax will also be collected for this auction. There is a 2% discount for payments made with certified funds. How to Pay Your Invoice: Cash/cashier's checks in our Woodland office (Monday-Friday), or wire/bank transfers. No personal/business checks. Payments are NOT accepted at pickup location. There is a 2% discount for paying via cash/cashier's check and/or wire/bank transfers. Units must be removed by appointment within 30 days after the auction closing date. The buyer is responsible for any and all costs associated with the purchase, transport, and registration of the modular units, including but not limited to licenses, permits, equipment, transportation, labor, taxes (to local or state authorities). There are no guarantees on the structure or any item attached to the structure. For third-party transportation companies, Click HERE. 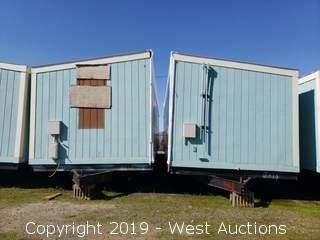 As part of the complete liquidation of this well known modular builder and vendor, we have for auction their portable modular buildings located in Merced, CA. 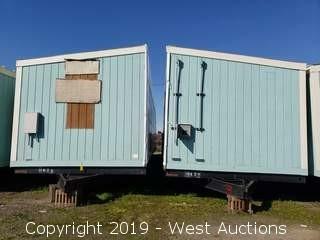 Featuring 33 lots including single, double, and triple unit modular buildings. 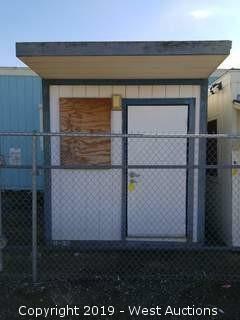 These prefabricated buildings for sale were built to potentially serve a variety of markets, including commercial and education. So don't delay, mark your calendars, and take advantage of this no reserve auction. 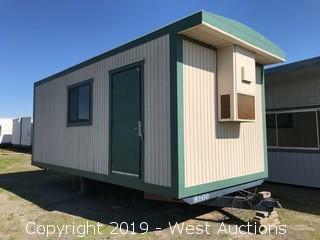 Note: The buyer is responsible for any and all costs associated with the purchase, transport, and registration of the modular units, including but not limited to licenses, permits, equipment, transportation, labor, taxes (to local or state authorities). 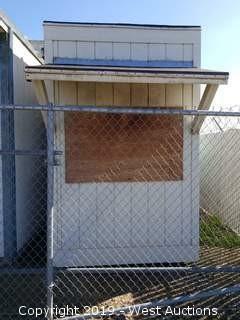 There are no guarantees on the structure or any item attached to the structure. Note: Bill of Sale only. DMV Note: Application for DMV Duplicate Title, Transfer form will be mailed 4-6 weeks following close of auction. Buyer is fully responsible for all aspects of registration and fees due DMV. Page last refreshed Sun, Apr 21, 11:17pm PT.